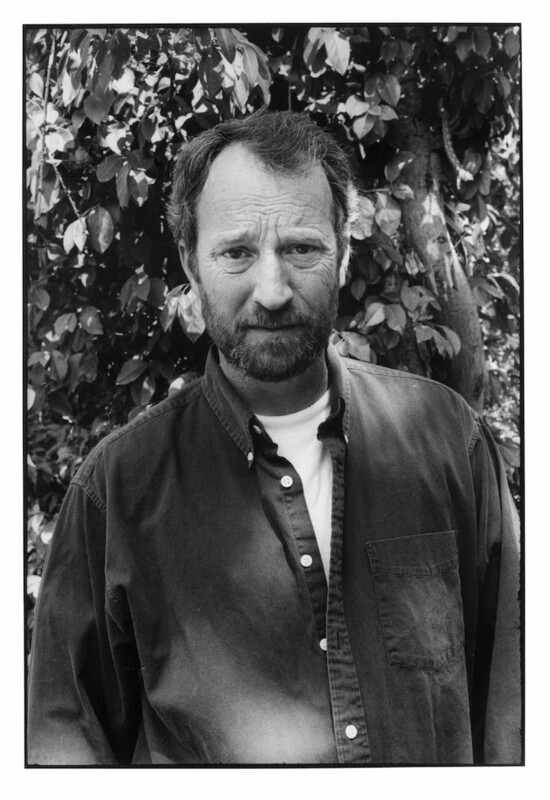 Writer William Larry Brown was born 9 July 1951 in Oxford, Mississippi. His mother, Leona Barlow Brown, was a postmaster and store owner, and his father, Knox Brown, was a World War II veteran and sharecropper. Brown spent his childhood years near Potlockney, in southeastern Lafayette County, and in Memphis, Tennessee, where the family lived from 1954 to 1964. After graduating from high school in August 1969, he enlisted in the US Marines in 1970 and served stateside for two years. In 1973 he joined the Oxford Fire Department as a firefighter, and the following year he married the former Mary Annie Coleman, a secretary. They had four children, one of whom died in infancy. Brown attained the rank of captain in 1986 and retired from the fire department four years later to pursue his writing career full time. In 1980 Brown began his apprenticeship as a writer of fiction. He published his first short story in Easyriders magazine in 1982, the same year he enrolled in a creative writing course at the University of Mississippi under Greenville novelist Ellen Douglas. His first book, the critically acclaimed story collection Facing the Music, appeared in 1988. It was followed by the novels Dirty Work (1989), Joe (1991), Father and Son (1996), Fay (2000), and The Rabbit Factory (2003); a second story collection, Big Bad Love (1990); a memoir of his firefighting days, On Fire (1993); a book of essays, Billy Ray’s Farm: Essays from a Place Called Tula (2001); and the posthumous, incomplete novel A Miracle of Catfish (2007). Material from Big Bad Love was adapted into a 2001 film coproduced by Arliss Howard and Debra Winger. Brown’s work received numerous literary honors, including the Mississippi Institute of Arts and Letters Award for Literature, the University of North Carolina’s Thomas Wolfe Prize, and the Lila Wallace–Reader’s Digest Award. Both Joe and Father and Son received the Southern Book Critics Circle Award for Fiction. He held teaching positions at the Bread Loaf Writers’ Conference in Middlebury, Vermont, at Bowling Green State University, at Lynchburg College, at the University of Montana, and at the University of Mississippi. Like his great Lafayette County precursor William Faulkner, Brown wrote with a sharp and loving eye for the rural environments of North Mississippi—the small, scruffy farms, the muddy rivers and streams, the forests of hardwood and pine hanging on against the depredations of the timber industry, the beautiful vagaries of weather and light and season—and for the rhythms and sensory details of working life in the fields, woods, and shops of the hill country. Stylistically, his work has been compared with the “minimalism” of contemporaries such as Raymond Carver and Richard Ford. Though in early stories he experimented with stream-of-consciousness techniques and cut-and-paste exercises in narrative fragmentation, his signature style is a lean, muscular prose that settles easily and comfortably into the speaking and thinking rhythms of his rough-hewn characters. Brown’s stories and novels bear thematic affinities with the so-called grit lit of Georgia’s Harry Crews and Alabama’s Tom Franklin. They focus on the often-violent lives of working-class men and women, victims of tough luck and tougher love who face difficult questions of moral responsibility and personal honor as they grapple with deteriorating marriages, alcohol abuse, the legacy of prison, or the horrors of war. Brown’s rural South is an angry and often dangerous world in which old habits die hard, old wounds are slow to heal, and old scores wait to be settled. The poverty his characters suffer is often desperate, bitter, and real, yet some find sustenance in fishing, riding the backroads, the occasional wild night in Oxford or Tupelo, or the simple pleasures of cigarettes and cold beer. Ordinary companionship and conversation count for much in Brown’s fiction, as does endurance; his most memorable characters, such as young Gary Jones of Joe and the title character of Fay, find ways to persevere in a world that asks far more of them than it promises in return. On the morning of 24 November 2004, Brown died of a heart attack at his home in Tula. His remains were laid to rest there, on the family land he wrote about and loved.